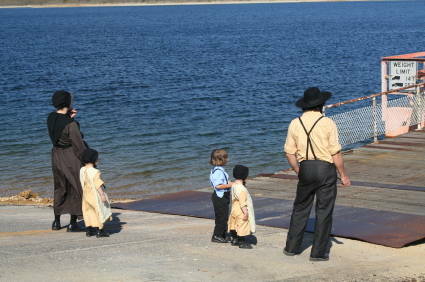 Who are the Amish people of Lancaster County? The beliefs, traditions, and lifestyle of the Amish people of Lancaster County, Pennsylvania both fascinates and baffles those of us who live outside their communities. We form opinions based upon images thrown at us by popular culture - images used to entertain us rather than inform. However, we rarely get the opportunity to glimpse into the complex traditions and lifestyle of this unique culture. We often wonder how the Amish, as well as the Mennonites, can possibly live a happy life without all the "necessities" such as computers, televisions, cell phones, and automobiles all of which we take for granted. However, sometimes we find that these conveniences of the modern age only complicate and frustrate our hectic lives without providing the satisfaction that they were invented for. At these times, it is tempting to envy the simplicity that is at the root of the Amish lifestyle. The pages on this site serve only as an introduction into the culture and history of the Amish, Mennonites, and Anabaptists. A glimpse that will hopefully spark an interest into pursuing your own discoveries of these complex, and little understood, traditions. Although the Amish have virtually disappeared from Europe during the 20th Century, they have flourished in North America. At the beginning of the 1900's, there were only about 5,000 Amish living in North America. There are now over 150,000. 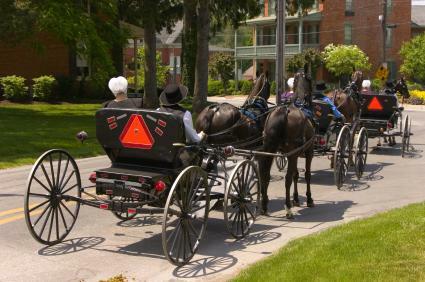 There are Amish settlements throughout 22 states of the United States. There are also settlements in the Canadian province of Ontario. The pages on this site will deal almost exclusively with the Old Order Amish in Lancaster County, PA which is the oldest and most densely populated of the settlements. The earliest Amish communities in Lancaster County consisted of fewer than 500 individuals. Today, that number has risen to over 19,000. Since the Amish lifestyle is characterized by the strict adherence to tradition and resistance to change, one would think that the people would not survive the onslaught of the modern world. However, as these pages will show, it is this very refusal to compromise more than necessary which is one of the most significant reasons for their growth and success in the 21st Century. Having said that, the Amish people have been required to make some radical compromises to the pressures of today's modern world. It is these compromises which have produced some of the most fascinating puzzles of the Amish people in Lancaster County.